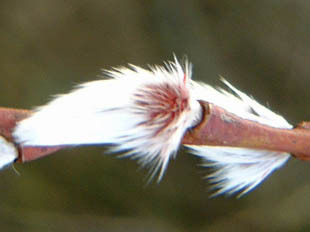 wasteland, and beside lakes and streams. 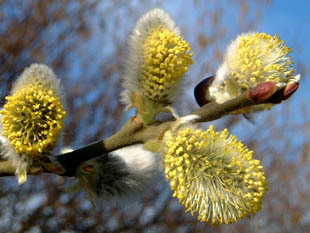 It is native, deciduous, shrub or small tree, growing up to 10m. 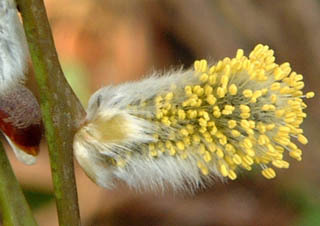 Catkins are short and appear before the leaves. 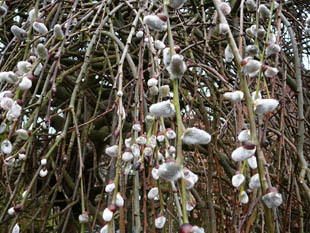 It is first of the willows to flower.